I was very excited to be interviewed on Nashville CBS about Unique Items for Family Patio Parties. 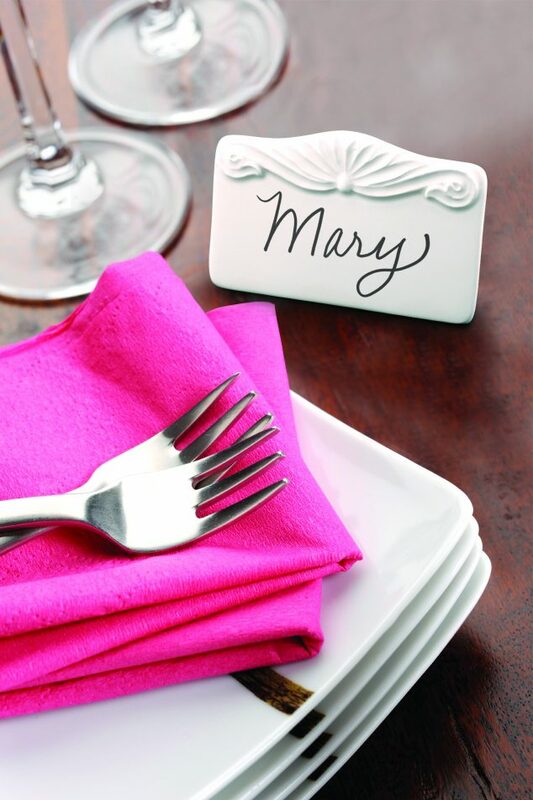 This is the time of year we all get to enjoy outdoor gatherings and here are some fun, useful items that you may enjoy having for your next backyard entertaining event! I am posting about each unique patio party item that I mention in the CBS interview in case you want more details on the products and where you can purchase them. There is also a chance to win at the end of the post! Also, if you are here for the first time, I hope you will like Family Focus Blog on Facebook to keep up with our great family articles and giveaways. Drink-N-Plate is a durable reusable, dishwasher-safe combo plate and drink holder that is perfect for all outdoor settings. Held with one hand, the Drink N’ Plate is a combination of plate and drink holder, allowing the entire meal to be carried conveniently and easily. This is an especially nifty invention for families who are often trying to serve more than one person and the Drink N’ Plate is also easier for children to hold on. $24 per pack of 8. 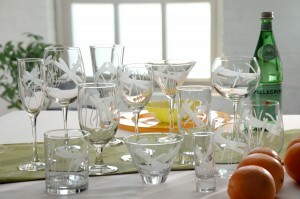 Rolf Glass is the only line of affordable cut and etched/engraved glass made in North America. Combining state of the art robotics with the traditional craft of glass cutting and engraving, Rolf Glass is able to produce pieces of even higher quality and workmanship than the custom work of glass artisans at the same price as low-quality overseas manufacturers. Set of 4 DOF for $39.99. I hope you enjoy these unique items for family patio parties! Which is your favorite? My favorite item is the patio lantern. I want the Rolf glass because it is pretty. The drink-n-plate would be my favorite for sure!!! I’m most excited about the ThermaCell Patio Lantern! Mosquitoes are a real problem here in the summer. 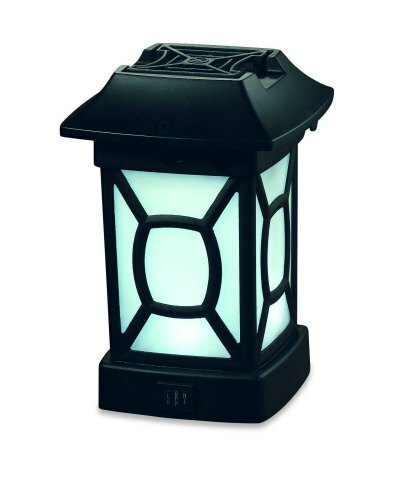 ThermaCELL Patio Lantern will help me keep the bugs off my kids! I can’t decide between the mini grill or the cup plate combo. i like the drink n plate! I like the Little Griddle. I love the patio lantern! I love it all but especially the lantern (it’s so cute) :). We’d like the Little Griddle the best. We’re vegans, but our extended family is not so it would be nice to bring this with us when we visit. That way we could grill our veggies and stuff on the grill too without getting the flavors and “juices” of the meats on them!! I would say the patio lantern would be very useful. They all look like great products, but I think we’d get the most use out of the Drink-N-Plates or the Little Griddle. I really like the Drink N Plates. I think it’s a very clever idea & oh so handy! I like the DOF glasses. my favorite would be the thermacell patio lantern! The drink and plate would get a lot of use for us! I love the Drink N Plate…great idea. Sizzle Q Grill, hands down! I follow you via Google+ (HollyCunningham) Thanks for the chance!!!! My favorite would be that mosquito lantern!! I love the little griddle. Subscribed to Family Focus Blog via e-mail. i like the little griddle the best. They are all neat! I like the thermacell patio lantern. I hate getting mosquito bites but I always do, by the dozen. It really spoils outdoor dining for me. So, I think the The ThermaCELL Patio Lantern would be my favorite from this prize package. Of it will defineitely be th3 Theracell Patio lantern. No bugs allows me to enjoy the other items. I like the Little Griddle! I think my favorite would be the ThermaCELL Patio Lantern. I love the Little Griddle! i need that thermacell lantern!! i live in a really marshy area in southeastern NC.. the mosquitoes are HORRIBLE! The little griddle would be great. I like the griddle top. The griddle top! Thanks for the chance! I think the ThermaCELL Patio Lantern would be my favorite item. Why do I have to pick just one! I guess the Drink-N-Plate would have to be my favorite because it is so innovative – but all of these items would get plenty of use at my house. I love using the grill, even in the cold. I could see me using the Little Griddle all the time. The patio lantern! We have swarms of mosquitoes that get in the way of any fun we want to have outdoors! I love the Drink N’ Plate! I’m from a large family (10+) and it would have made pool-side parties soo much easier! The ThermaCELL patio lantern is what I’m really excited about. The patio lantern for sure. I live in the country, and I really like the outdoors, but, so do the mosquitoes. I think the Drink-N-Plates will be my favorite. The ThermaCELL Patio Lantern will be my fave, hate mosquitos! The glasses are gorgeous and the name plates are pretty. The grill is very useful! 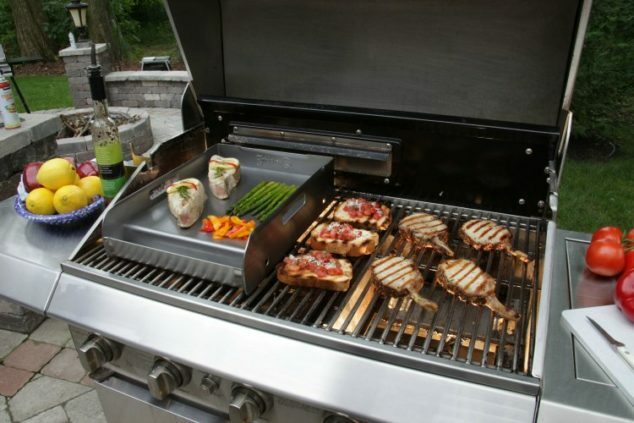 I love the Little Griddle, it would be great for cooking fish on the grill. Thanks for having this contest! ThermaCell Patio Lantern is my fav. We have to many mosquitoes! the patio latern because i hate insects ruining my picnics. The ThermaCELL Patio Lantern would likely be my favorite! 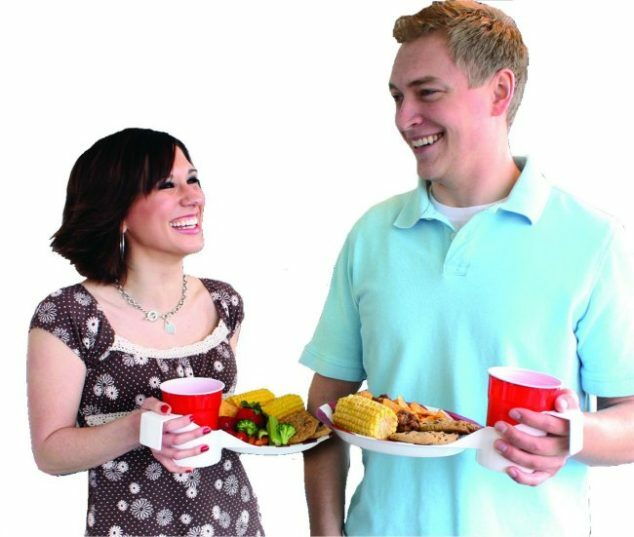 The Drink-N-Plate is pretty awesome for those parties without tables and chairs! The Little Griddle Sizzle Q Griddle would be my favorite.